Mum wants you round for roast lamb, but you tell her you’ve got that awful business trip you can’t get out of. Really, you’re nipping off to Europe for the Easter weekend and you’re excited to be going by train. Oh, hi sunny Barcelona – train tracks going along the beach, sure, we dig it. Glamorous Paris in bloom and chocorama in Brussels – only 2.5 hours away, no worries, there in a sec. Book at trainline.eu and you can add dates and tickets in your calendar and phone passbook. 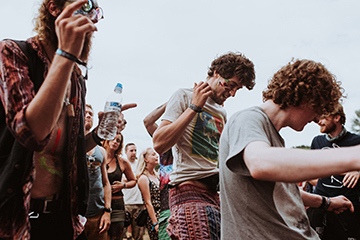 Get the best price around 6 weeks before you go, combine your tickets between Eurostar and other train companies and, if you want to practice your French, German, Italian or Spanish, you could always try our multilingual helpline. Ah, Paris in the springtime. For obvious reasons, it’s Londoners’ favourite place to visit for a short break. It’s just 2hrs 20mins from St Pancras station to Gare du Nord and you can usually upgrade to first class for about €11.50. Worth it for the spacious seats, power sockets and a bite to eat on your journey. 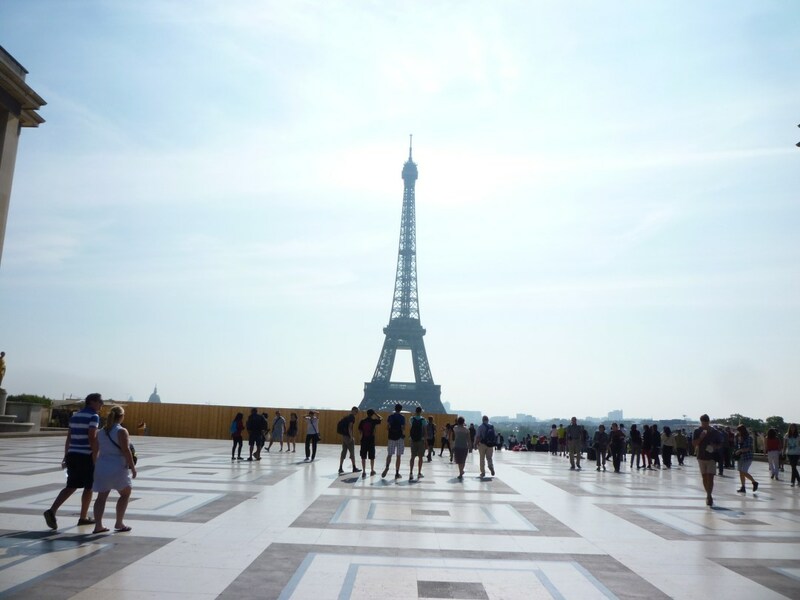 So, full of free brekkie, you can jump off the train and hot-foot it to the Eiffel Tower for a massive public Easter egg hunt on the 16-17th of April. 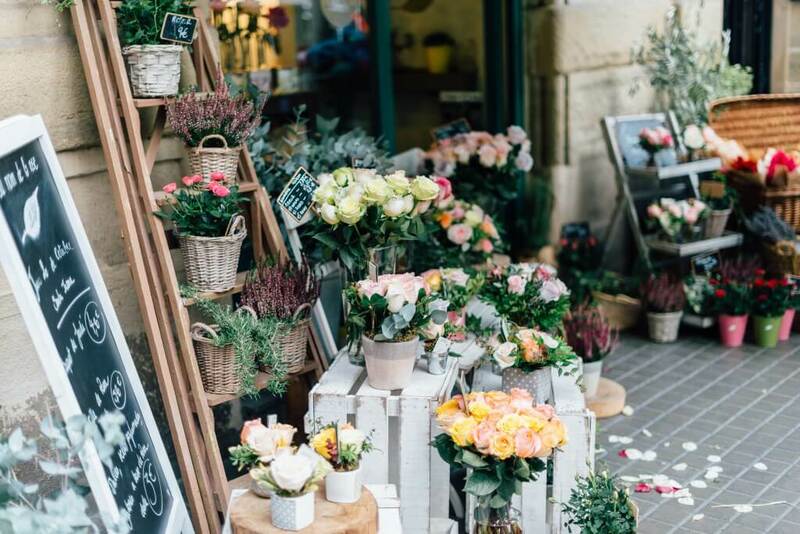 As you walk south to the left bank, you can whet your appetite in the bakeries of foodie Rue des Martyrs and in the chocolate shops of chic Saint-Germain-des-Prés. 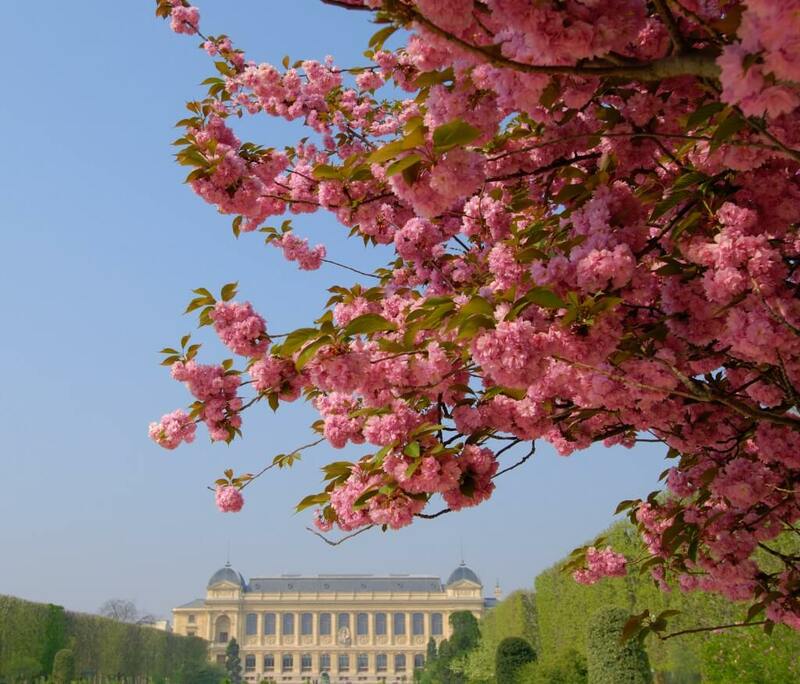 If you’re searching out a more romantic vibe (it is Paris), follow the river east of Saint-Germain and head to the Jardin des Plantes for the sumptuous cherry blossom. This is France’s main botanical garden, surrounding the fascinating Natural History Museum. Another idyllic garden peaking at spring is Monet’s. The painter’s house and famous water lily are a short train ride from Gare Saint-Lazare. Turn the smooching up to 11 on the Bateaux Parisiens Dinner Cruise. 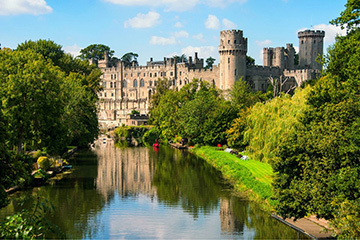 There’s one on Easter weekend this year, so enjoy a classic French three-course dinner with wine and live music. I’d say yes. Any fool would. Belgian. Chocolate. That’s all you need to know. Okay, that’s a not-so-cool-in-2017-stereotype? But the direct Eurostar to Brussels is a plus for us. 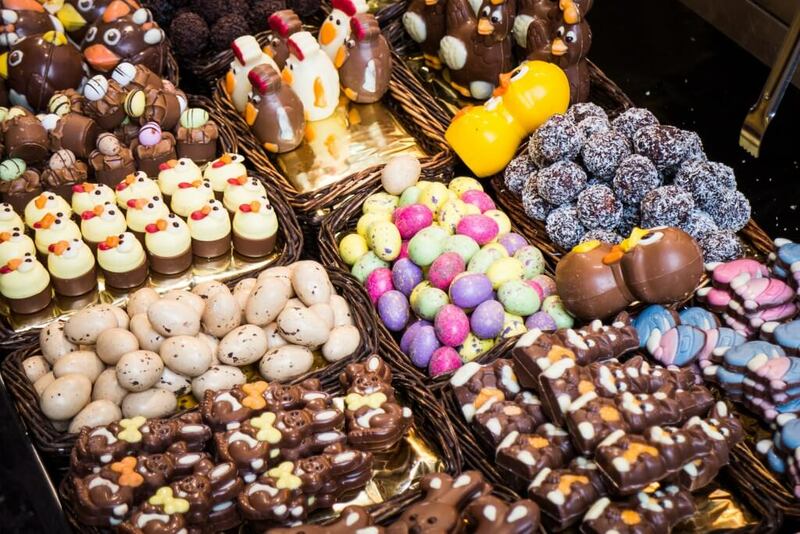 And where better for an Easter break than a city where the smell of chocolate is wafting around the streets. 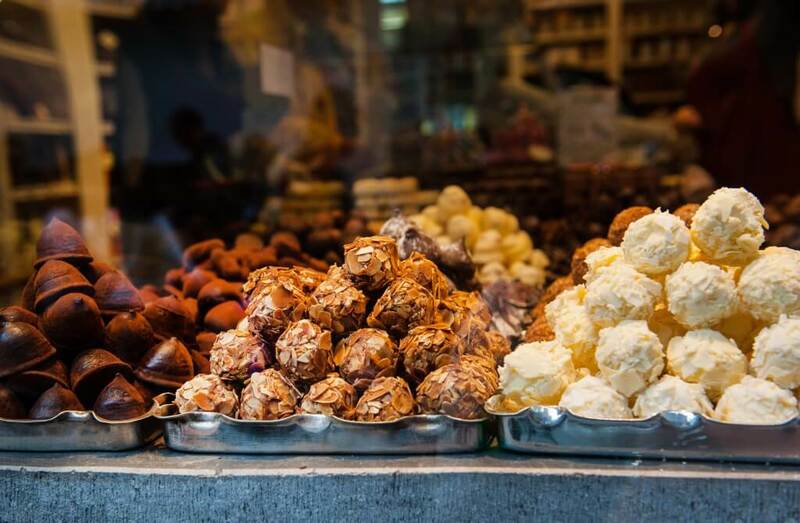 Head to the Chocolate and Cocoa Museum for demonstrations and tastings, or buy luxurious pralines – Brussels chocolates filled with nuts and cream – made by famous Belgian artisans like Pierre Marcolini. The best chocolate shops are between the Magritte Museum and the Grand-Place, which is the city’s central square. 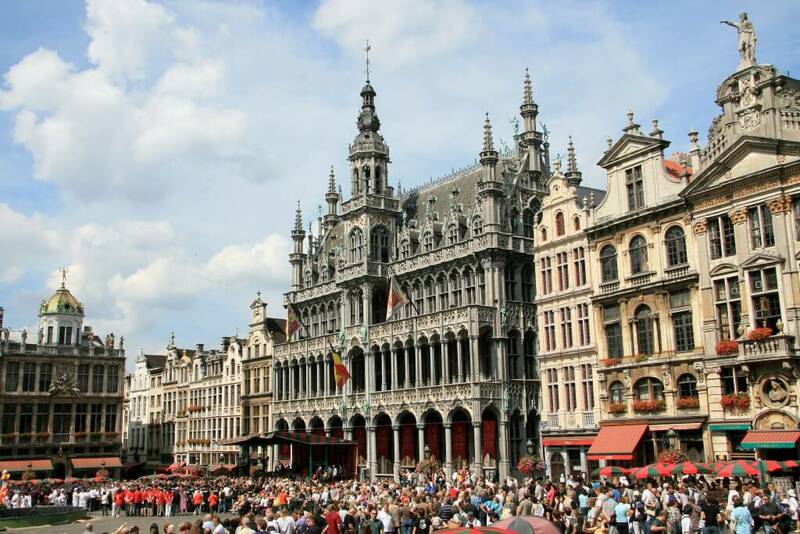 It’s lined with opulent eclectic buildings from the 14-17th centuries and bars where you should stop for a beer: another thing they do well in Belgium. Of course, there’s pretty springtime wonders to enjoy, too. Catch the seasonal opening of the Royal Greenhouses (14 April – 5 May), filled with cherry trees and gigantic palms. Flower lovers will also enjoy the Floralia show (7 April – 7 May) at Groot-Bijgaarden Castle, 20 minutes by train from Brussels Midi. Lovely, eh? Imagine sculptures and labyrinths of hyacinths, daffodils and tulips. For more, Amsterdam is only 1h45 from Brussels by train! 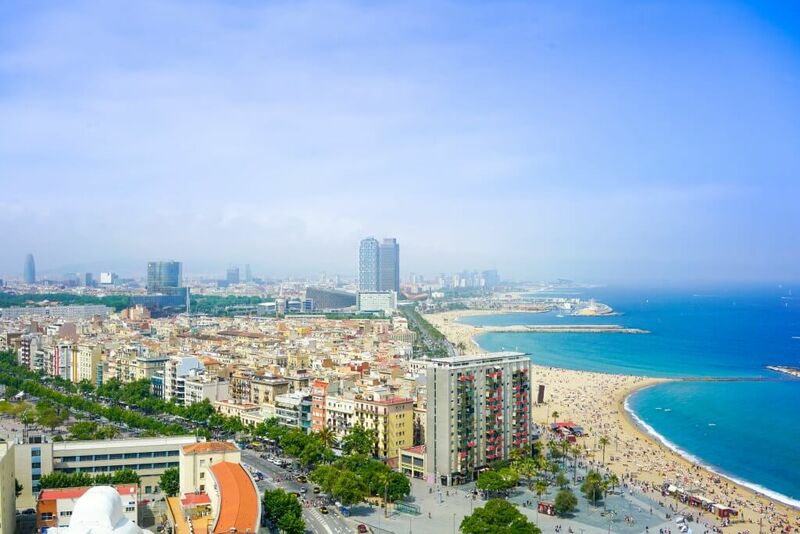 Get the train from Paris to Barcelona’s sandy beach. Okay, sold. While you soak up the rays and prom Las Ramblas, you’ll be thinking… I haven’t left the ground! I booked one thing from London all the way here! The ride from Paris will have got you all excited, with glimpses of the Alps and Pyrenees from the train window, as well as south of France lakes and flamingos. It’s Easter, which by now you know means eating. We put the EAT into EATster. Remember that gorgeous train ride? Anyway, you’ll want to head to La Boqueria, the most famous market in Barcelona’s Old Town. Here are some Easter eggs they had there one year. Oh my. Wide, pedestrianised streets, wonderful galleries and a vibrant nightlife make Barcelona a must in a top 5 for spring in Europe. The ride from Paris will have got you all excited, with glimpses of the Alps and Pyrenees from the train window, as well as south of France lakes and flamingos. Okay, the Holy Week processions are pretty out of this world. 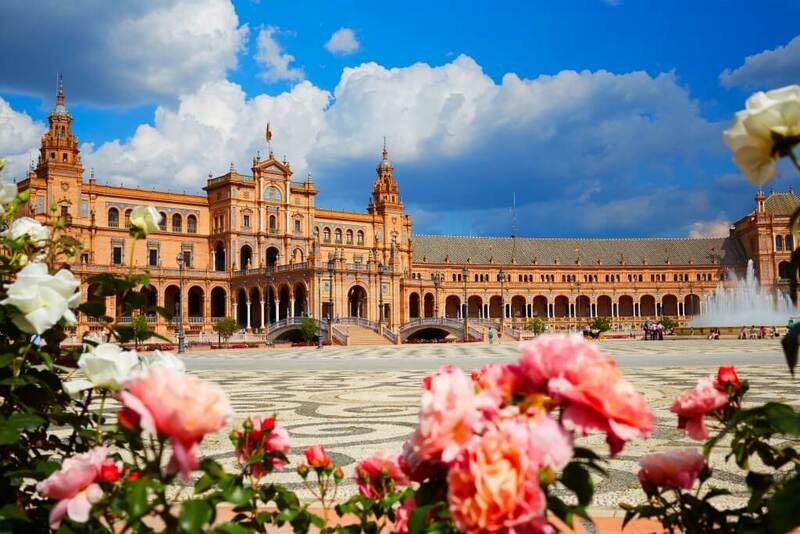 Hop on a train from Barcelona to Seville and watch spectacular parades taking over the stunning Andalusian capital, whose architecture mixes Gothic and Islamic influence. If you were thinking of going to the Costa del Sol for a bit of tan-time, you’re better off here. While the Costa averages 21C, you’ll get 24C in Seville. Despite the heat, 50,000 people in traditional robes join the Holy Week processions to Seville’s beautiful cathedral. Among them, the Nazarenos – penitents of church brotherhoods – wear awe-inspiring capes and pointy hats. 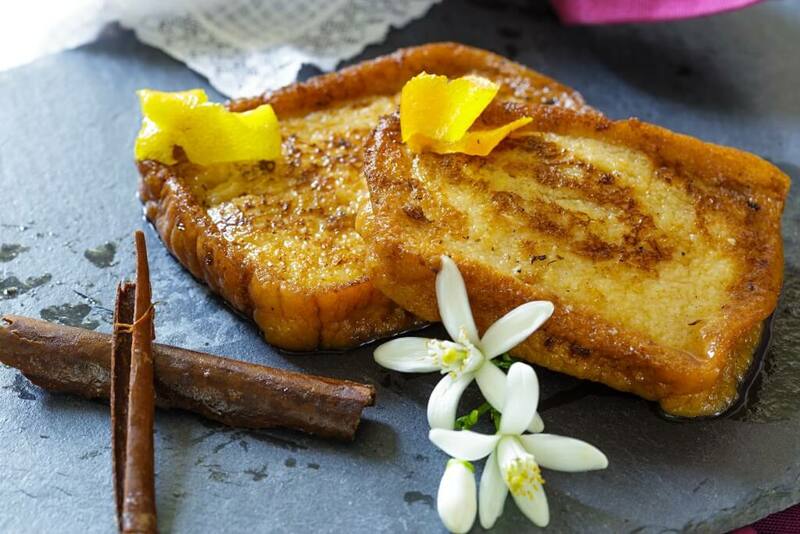 This musical and festive atmosphere is even more enjoyable with a slice of Sevilla’s beautiful traditional dessert of Lent and Holy Week: torrijas. That’s deliciously sweet eggy bread. Yes please! 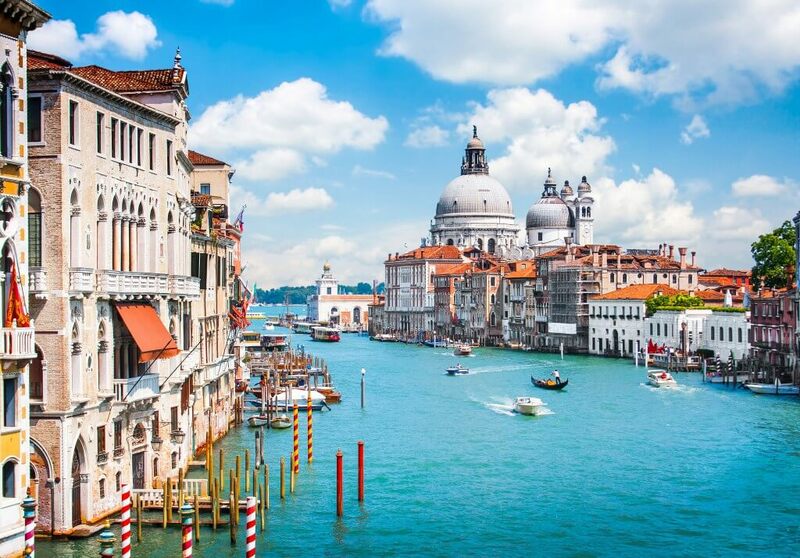 Since the days are getting longer and the weather hotter, we’re jumping on an overnight train from Paris to Venice (less busy than Rome at this period) to refresh by the Grand Canal, munch on Easter dove bread and attend moving celebrations at Basilica di San Marco. Watch Piazza San Marco – Venice iconic square – and eponymous basilica getting lit up at sunset, during the “blessing of the fire”: on Holy Saturday, a torch is lit at the entrance of the church, followed by a procession, lighting up more candles as they go. At midnight, fireworks are set off to celebrate the Resurrection and there’s a very joyous feeling in the air. Make sure you also attend the Easter mass at the basilica. Powerful choirs and lavish decorations make the golden interiors of this landmark even more special. The Piazza is also home to the Gothic glittering Doge’s Palace and you can hop on a vaporetto to visit the city’s main attractions and islands like Murano and Burano. 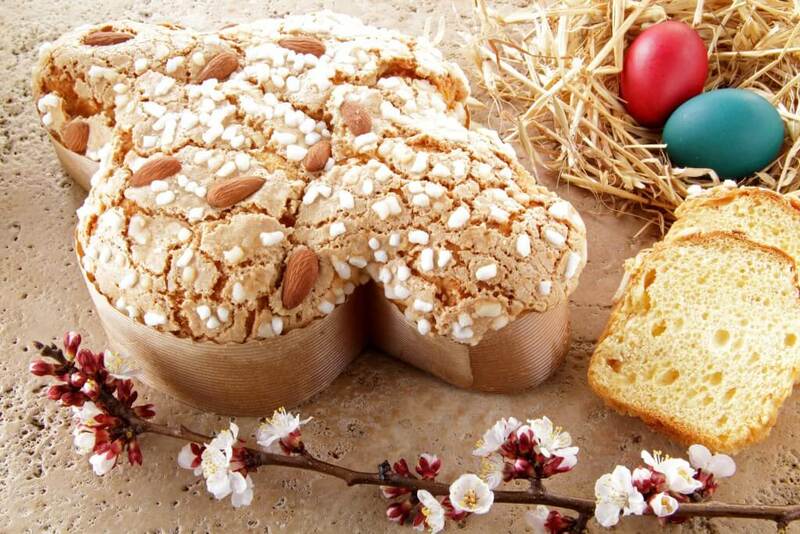 Grab some “Colomba Pasquale” – an Easter dove shaped bread similar to panettone – to eat on the boat! So remember, if mum asks, you’re at a fusty old conference. But, as your Instagram followers know, you’re eating Colomba Pasquale in Venice. Or eggy bread in sunny Seville. Or on the beach in Barcelona. Or scoffing in Brussels. Or snogging in blooming Paris. Saluti! 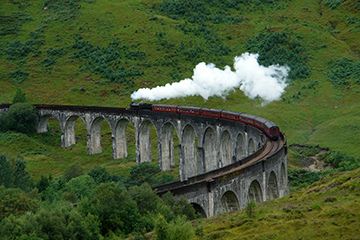 10 awesome train films you need to see – bring on the classics!